We live on a small family farm located in S.W. Minnesota, near the South Dakota border. The source of our honey is from white and red clover. The honey appears as liquid gold in color. Our honey is extracted using a hand cranked centrifugal force extractor. The honey is screened once into a holding container from which we later fill the small honey bottles. We do not heat treat the honey nor add any other ingredients. 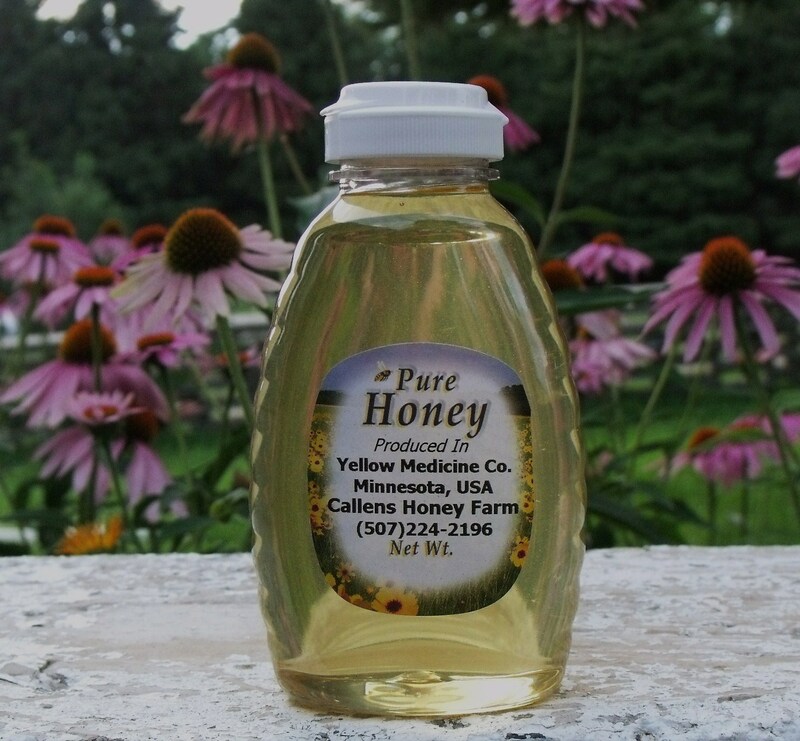 Pure and natural is our Minnesota honey! What could taste better? 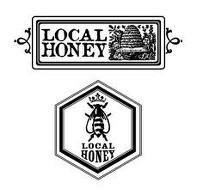 We sell raw, all natural, unpasteurized, liquid gold honey straight from the hive. FREE SHIPPING on honey below ~ shipping is included in the total price. Honey is heavy and we have found that by using a 10 pound minimum order (except the baby bear package) we can offer the free shipping using flat rate postal packages. We pay the $12.35 fee to ship a medium box flat rate postal service. Payments made at the time of shipping. No credit cards! This entry was posted in HONEY FOR SALE and tagged all natural honey, Callens Family, Callens honey farm, clover honey, Honey, local honey Minneota, MN, South West Minnesota Honey. Bookmark the permalink. This is THE BEST honey I have ever had in my life! We use none other! Love, love, love, your MN Honey! More Please!!! Anet and Co.
do you sell bees? Mn hygenic bees ? it so are they gentle, i am looking for a source , i live in Southwest Iowa… just for pollination of fruit trees , strawberries, raspberries , garden and flowers on our farm. I have grandchildren and my husband has livestock so i want them to be as no excitable as possible. I have not found a source for these bees in IOWA. Hi, We do not sell bees at this time. The MN bees we purchased from Mann Lake a couple of years ago and I notice that they are not listed for sale at this time. We have some of this breed on hand but they are not for sale:) You might try to phone Mann Lake Ltd in Hackensack, MN for information. They are very good producers but they are not exactly calm. We have bees right near our house and yard and the kids have never been bitten, at least not the ones who work with bees:) Good luck. I’ll get back to you privately Diane. Thanks ! !